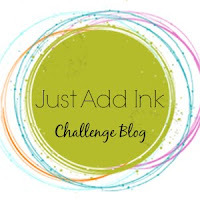 Just Add Ink: Just Add Ink #220 sketch challenge! Just Add Ink #220 sketch challenge! WOW we're up to challenge 220 and it's a goodie! We've got a fantastic sketch designed by Kim to get your crafty juices flowing!!!! It's the last challenge of the months so this week is our "Guest Designer"challenge. So, if you are interested, all you need do is play along with this weeks challenge! We are looking forward to seeing your creation so follow the rules below and link up!!!! Just Add Ink # 217 - Winners!